Last edited by Sotiris on Tue Sep 27, 2011 8:41 pm, edited 1 time in total. AC is a total guess. There's some buzz on that one. I think Kung Fu Panda 2, Cars 2 and Happy Feet 2 will be ignored entirely. Well, we still have films like Puss in Boots and Happy Feet 2, among other mainstream films, not to mention any artsy indy films (The Illusionist & The Secret of Kells types) that could jump out of the woodwork to see how they are received both critically and financially. BUT, of the films SO FAR... My wish list would def include Winnie the Pooh, but I doubt Disney is even going to submit a dime into campaigning for it. They seem as if they couldn't care less about that film's success for some reason. 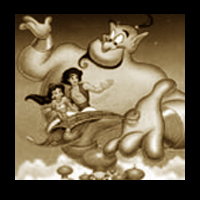 ^Those three, along with Pooh and a foreign animated movie. I want Winnie the Pooh to win. I know you people disagree with me, but think about it. 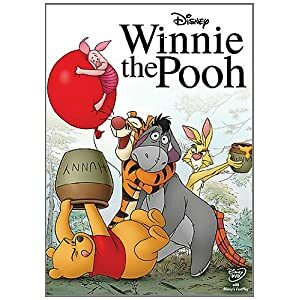 If Winnie the Pooh wins a Oscar for Best Pic...I mean, Best Animated Feature, then Disney will make more Hand Drawn movies. And they might possibly give a Mickey Mouse movie a greenlight. Just think about it. It may be possible. I'm just being supportive for hand drawn. Considering Mars Needs Moms, Gnomeo & Juliet and Cars 2 aren't likely to get nominated, Winnie the Pooh is their only chance, so I imagine they will try and push that one. With Puss in Boots, Happy Feet Two, Arthur Christmas and any smaller animated film (like A Monster in Paris) still yet to be released, I can't offer a full opinion on what should get nominated. And then Arthur Christmas, Puss in Boots, Happy Feet Two or some smaller film fight for this last slot, depending on how well-received they are. However, if The Adventures of Tintin is considered eligible (as Spielberg does plan on submitting it to Best Animated Feature, despite being motion-capture), watch out! If it gets nominated, it will definitely win. But, at the moment, I think Rango will take the prize. Winnie the Pooh is my choice! That's what I would like to win, as it's been my fave of the year so far... animated or otherwise! As for what I think will win, I have no idea. The Academy usually doesn't pick my favorite, especially when it's a WDAS film. But here's hoping! I'd also love to see The Ballad of Nessie win Best Animated Short. This was my fave animated short in years*, dating back to the heyday of Disney shorts in the 30's, 40's, and 50's. *If you count "featurettes" as shorts, I'd have to say the original Pooh featurettes and Mickey's Christmas Carol are all-time favorites. So "Cars 2" doesn't deserve to be on this list? I also agree that Rango will probably win, although knowing the Academy's ineptness, they'll probably give the award to something mcuh less deserving. I can't really made predictions for this category yet considering we have many more animated movies this upcoming holiday season. Of all of this year's animated movies so far, I'd say Winnie the Pooh, Rango and Kung Fu Panda 2 have the most likelihood to get nominated. Rio will unfortunately likely be forgotten by Oscar time. The next wave of animated movies could be good or bad, we'll just have to wait. Though pre-release buzz for Puss in Boots has been really good. Micheal Eisner was counting his money and he got DIZZNEY! Probably Kung Fo Panda, Rango and Winnie the Pooh. Movies like Arthur Christmas (trailer doesn't appeal to me all) and Puss in Boots (trailer was interesting and I giggled at parts, hopefully better than Shrek 3 or 4) don't count yet and won't until release. And does The Adventures of Tintin count as a nominee? And does The Adventures of Tintin count as a nominee? Tintin is motion-capture, which the Academy recently ruled as not being a form of animation. However, Steven Spielberg still plans on submitting it for Best Animated Feature. So, we'll see it if they rule it eligible. I don't think they will, but we'll see. No, and with the majority of reviews for it being so poor I would be shocked if it made the nomination. We're talking about the Oscar for Best Animated Feature. Usually there are so few animated features made that they don't have a choice. Or do you think that Jimmy Neutron: Boy Genius, Treasure Planet, Brother Bear, Shark Tale, Shrek 2, Monster House and Bolt deserved to be nominated? Have you actually seen this movie or are you just assuming that its bad? Or they could just say, "To heck with it! It's Pixar!" They seem to love nominating at least one Dreamworks movie and one Pixar movie. They also throw a Disney movie in the mix usually (not last year, because the Illusionist kicked out Tangled : /). And I have seen Cars 2 and would admit it's better than the first Cars IMO. I saw it opening day and my comments for it are in the Cars 2 thread. It's a movie far too weak to be listed among the "best" for the year of 2011, especially if only 3 nominees can be picked.